October 15 – Tiny Gibraltar, who spent years trying to get FIFA and UEFA recognition, finally won their first competitive game last Friday – but only after being accidentally mistaken for fellow minnows Liechtenstein. Somehow surviving no fewer than 35 attempts on their goal, the British overseas territory beat Armenia 1-0 away from home in the Nations League following 22 consecutive losses since entering the international arena. The historic victory came courtesy of a 50th-minute penalty, the first time they had won a match other than a friendly since joining UEFA in 2013. Yet the night had began somewhat embarrassing when the national anthem of Liechtenstein was played before kick-off, prompting a disgruntled tweet from Gibraltar’s FA. 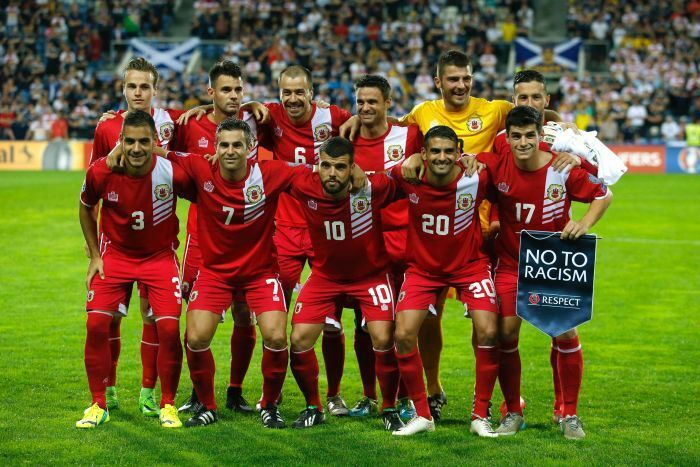 Gibraltar’s national team is ranked 198th in the world – it has a population of little more than 34,000. They lost all every one of their Euro 2016 and 2018 World Cup qualifying matches but the anthem blunder in Yerevan served only to motivate the Gibraltar players as they held out against the relative might of Armenia who just missed qualification for Euro 2012 and were captained by Arsenal’s Henrik Mkhitaryan.